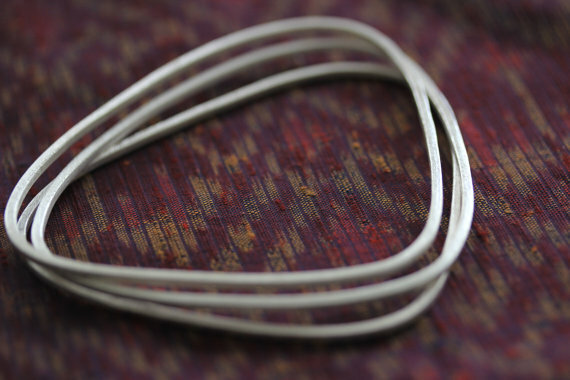 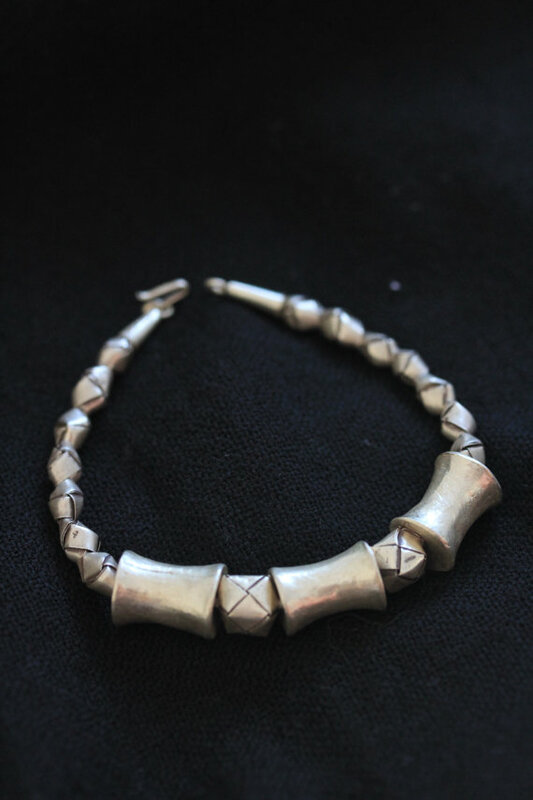 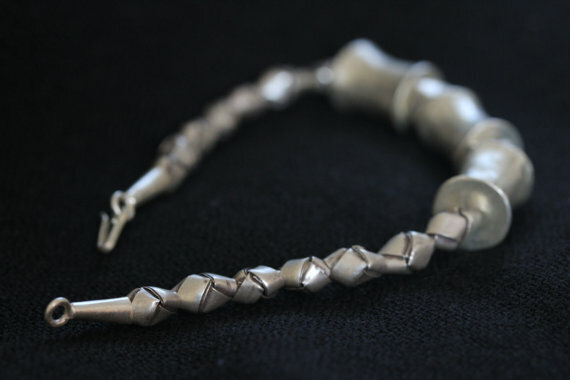 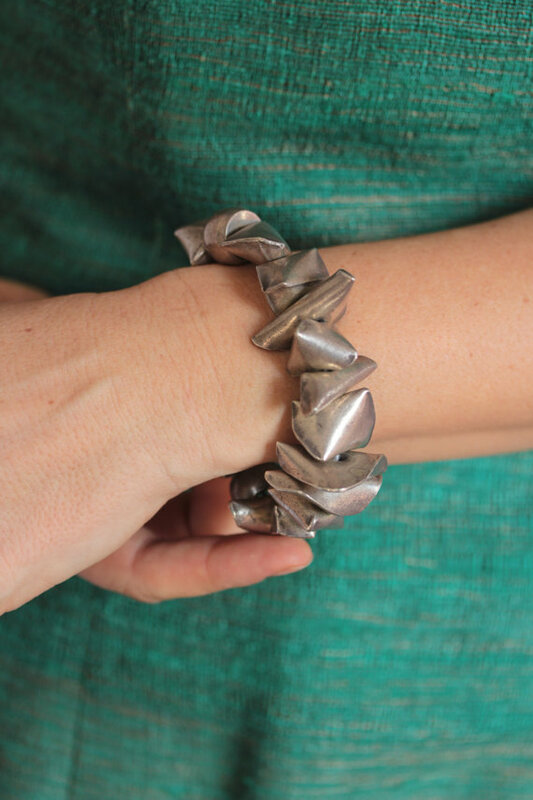 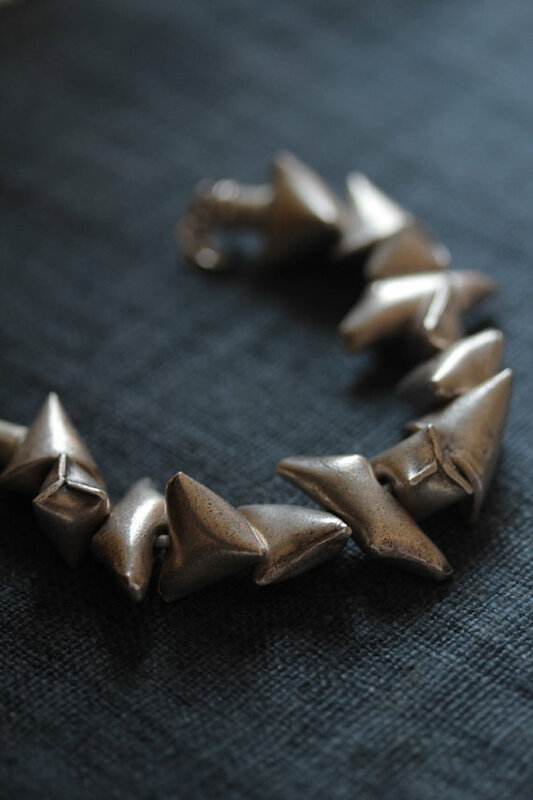 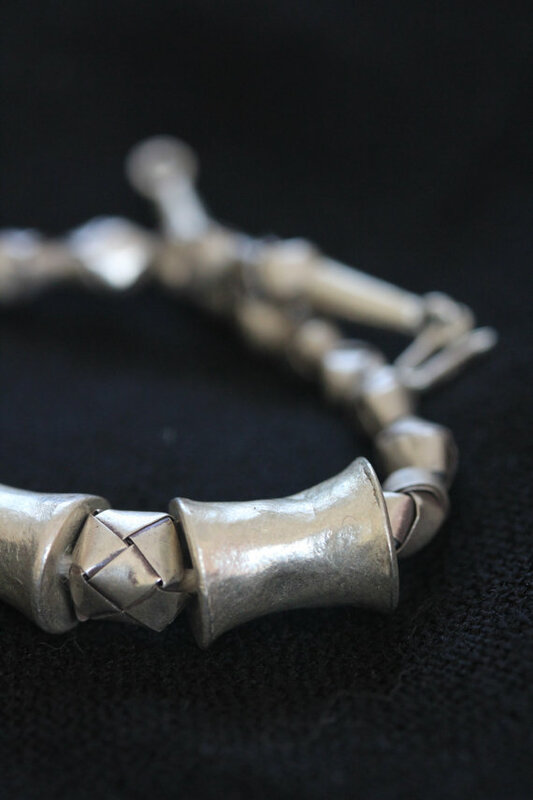 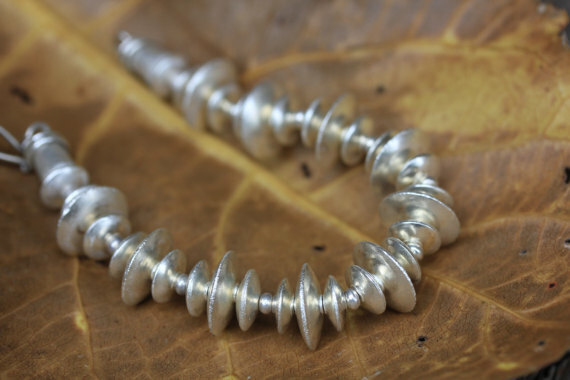 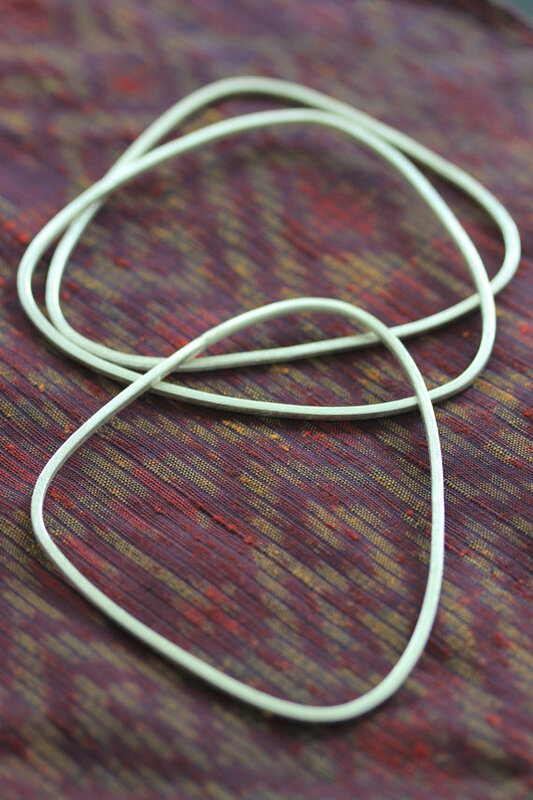 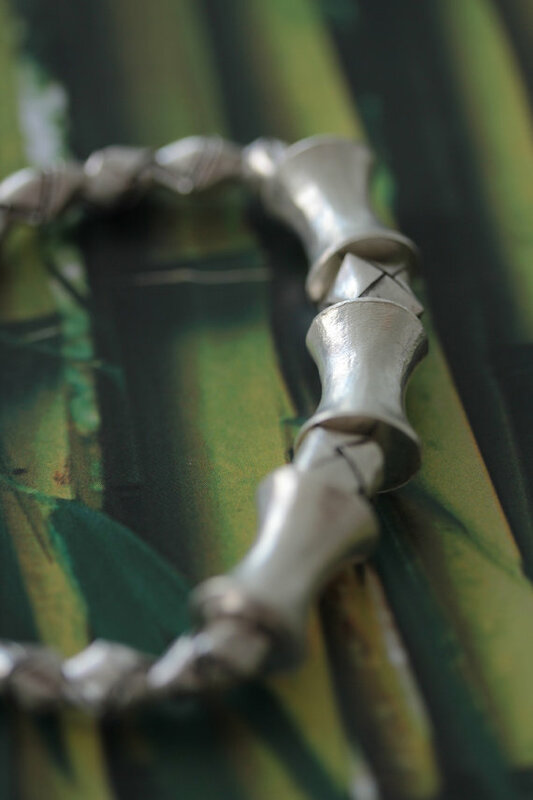 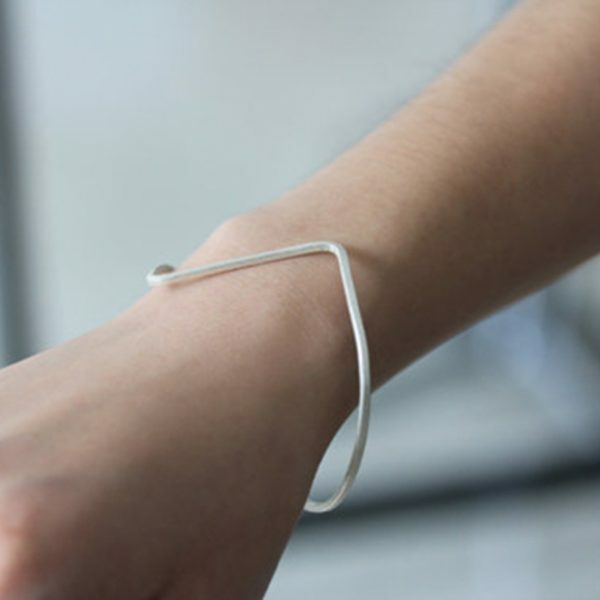 This ethnic-inspired, elegant bracelet is handmade in 98% silver. 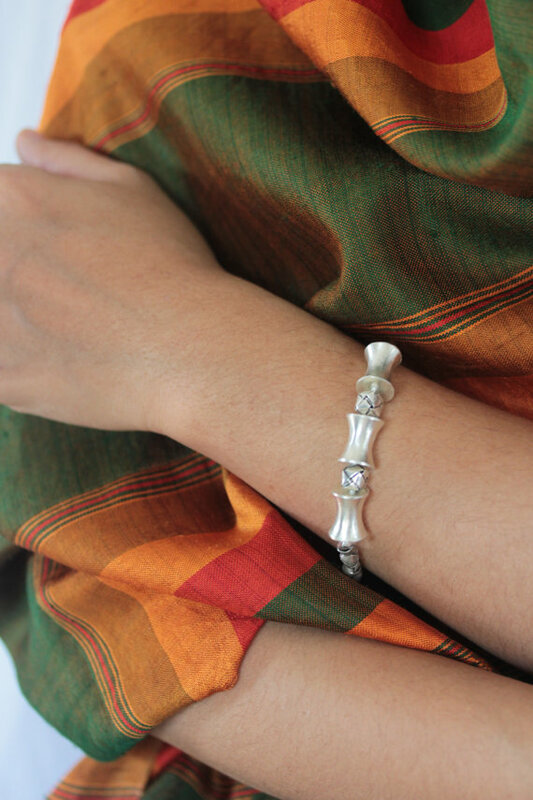 The bobbin-shape pieces are traditionally worn as plug earrings by the local Thai hill-tribe people. 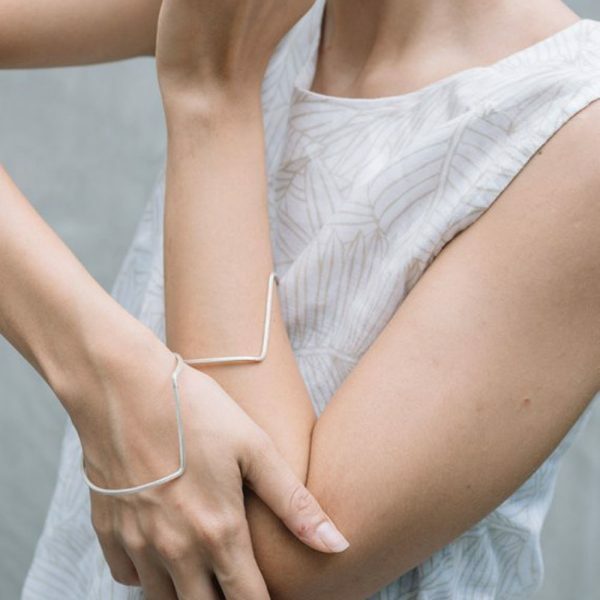 The bracelet is simple and modern and in the same time with a scent of traditional ethnic jewelry – a very special piece that can be easily worn for any occasion.